When you’re in need of a tool that shows you the differences between two binary (non-text) files you probably would like to take a look at AptDiff. 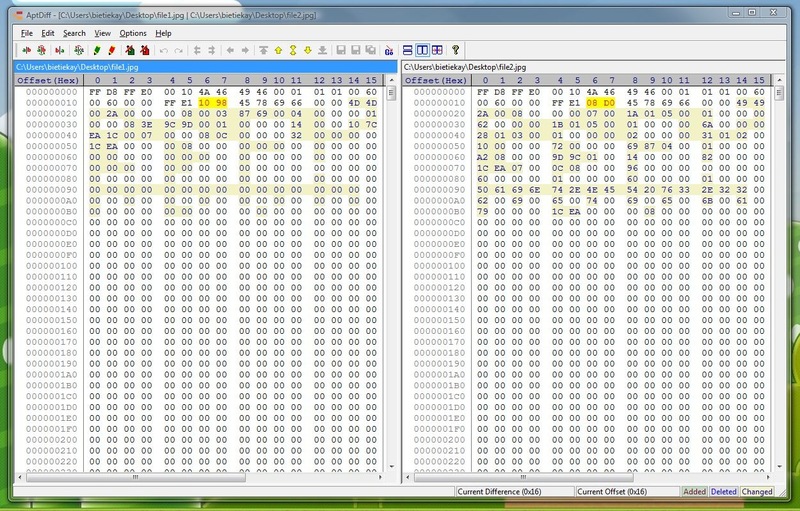 “AptDiff is a visual text / binary files comparison and merging utility for Windows 2000/XP/2003/Vista. It is highly useful for software developers, web designers and other professionals. 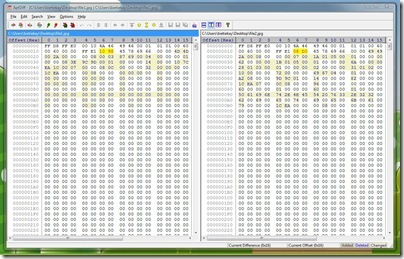 AptDiff features a double-pane view that allows for side-by-side comparisons, with customizable color-coding indicating whether each line/byte is added, deleted, or changed. AptDiff can also export the side-by-side comparison to a nicely formatted HTML page for publishing on the web.